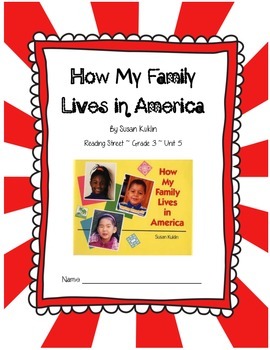 This is a student booklet for students to use with the story How My Family Lives in America. 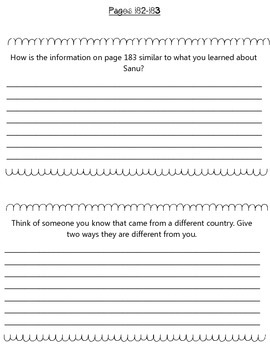 Each page of the booklet focuses on a section of the story, requires students to re-read that section, then answer the question. 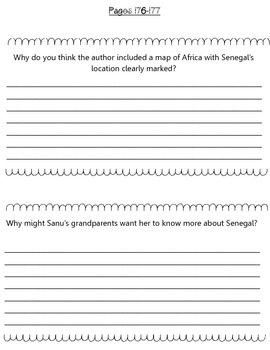 Helps meet CCSS for reading comprehension by asking critical thinking questions and requiring students to support their answers with details from the text. Suggestion: This booklet has 2 questions on one full page, when you print, select 2 sheets per page to make the booklets half sheet size when copied for students. Check out my TPT store for more Reading Comprehension Booklets. 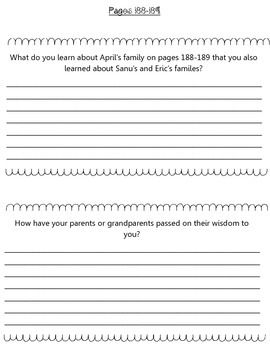 Also, check out my store for more activities that go with How My Family Lives in America. All purchases intended for single classroom use only. Thanks! Happy Teaching! Graphics purchased from Scrappin' Doodles.